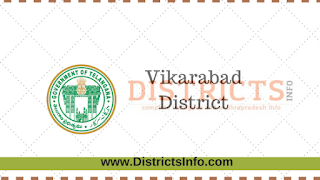 Vikarabad District : Vikarabad district is carved out of erstwhile Rangareddy district. The district shares boundaries with Sangareddy, Rangareddy, Mahabubnager and the state of Karnataka. The district comprises 18 mandals and 2 revenue divisions – Vikarabad and Tandur. 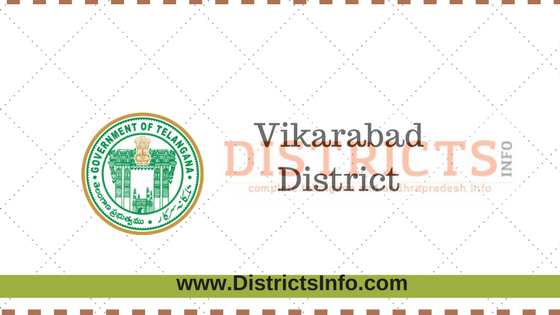 The district headquarters is located at Vikarabad town.Tandur, one of the important towns in the district, is the industrial hub of the district. Anantha Padmanabha Swamy Temple (Vikarabad), Karmanghat Hanuman Temple, Keesaragutta Temple, Sanghi Temple, Chilkur Balaji Temple, Ananthagiri Hills, Osman Sagar Lake, Mrugavani National Park, Vikarabad Adventure, Bikkanoor Sidda Rameswara temple, Alwaal Balaji Venkateswaraswamy temple, Sirigiripuram Mahakali temple are the major tourist attractions near to Vikarabad.